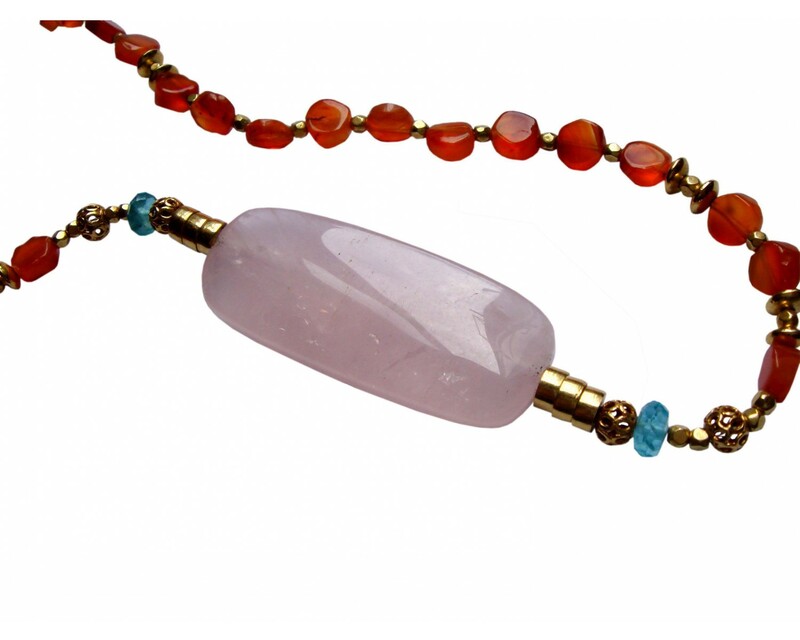 Rose quartz oblong stone, orange cornelian and aquamarine beads with a variety of 18ct yellow gold beads. 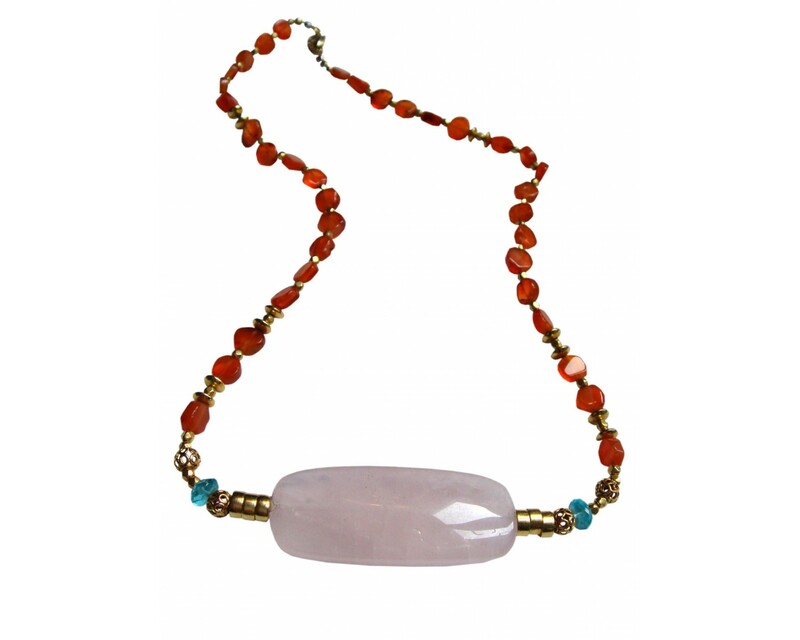 This lovely summery rose pink quartz, cornilian and gold bead necklace is a flattering collar bone length. 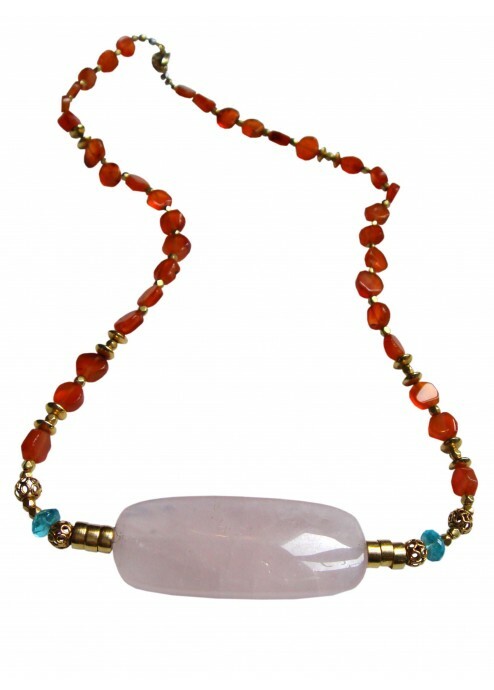 The faceted beads add a wonderful tactile dimension to what is an extremely wearable necklace. 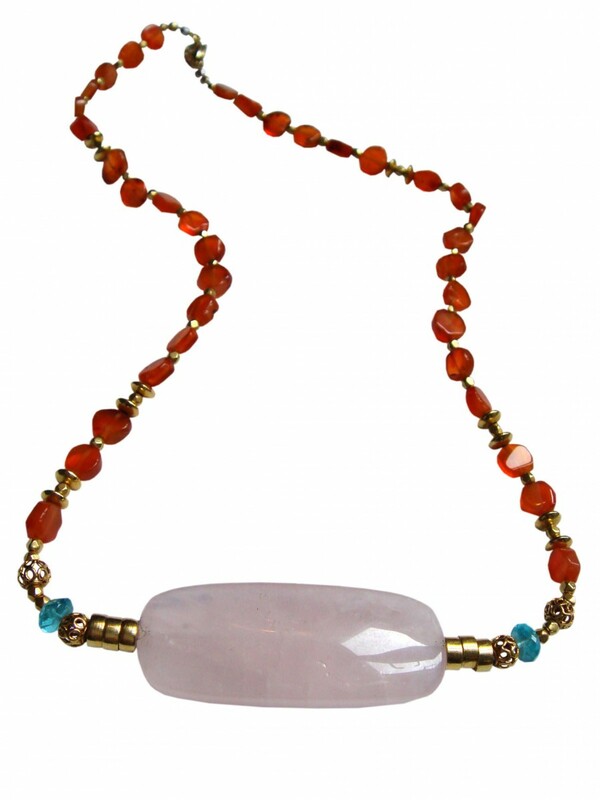 Enhanced by the golden glow of a pretty array of 18ct yellow gold beads.